Weekend Shortcuts are posts written to help you put together a perfect weekend away without tearing your hair out during the research phase. 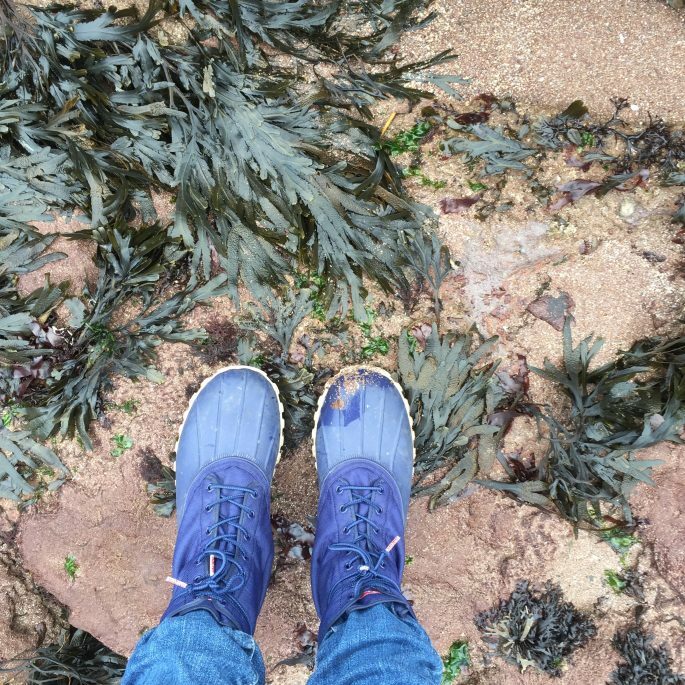 This weekend shortcut covers everything you need to know for a food-filled 2- day break in Devon, a truly delightful part of South West England that’s simultaneously easily accessible yet somehow feels unhurried and remote, making it a great candidate for a stress free little trip to recharge your batteries. Read on to learn how to replicate this delicious weekend in Devon without doing any extra research – leaving you more time to eat, drink and relax with stunning English sea views. What Kind Of Weekend In Devon Are We Talking here? Who Is This Weekend In Devon Right For? 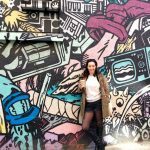 I visited Devon in Winter (December to be exact) and stayed in the Maidencombe area of Torquay, a seaside town on the English Riviera, so this is guide is designed to help you have the same cosy, relaxing, wintry weekend away on the coast that I enjoyed – with plenty of eating involved. 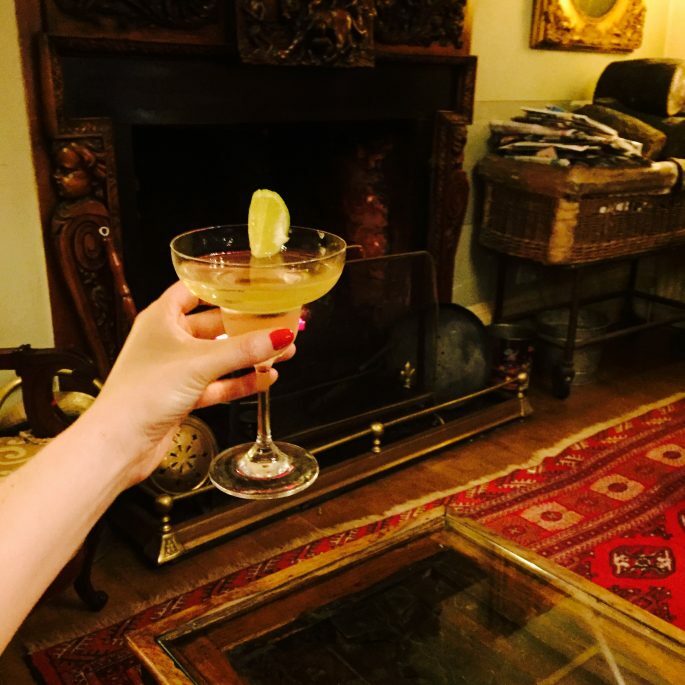 The vibe is one of drinks by an open fire, hearty 3-course dinners, windswept beach walks, pub lunches, wine tasting, as well as visiting the oldest bakery in the world – with the added option for some soft adventure to work up an appetite in the form of learning to fly a (virtual) plane. 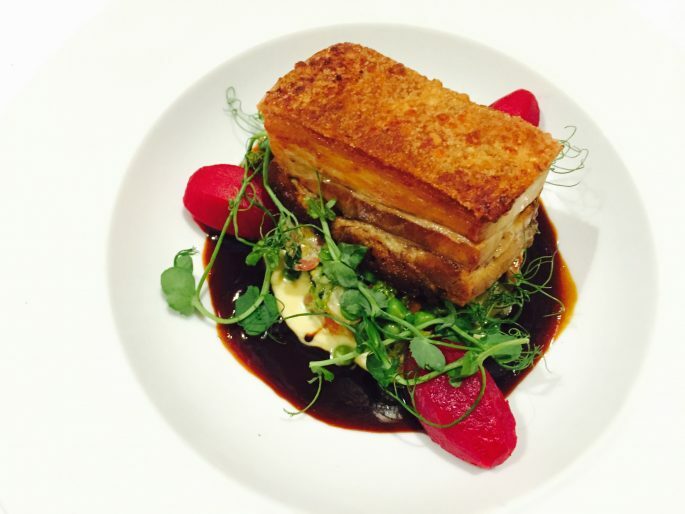 This weekend in Devon is perfect for those who like to eat and drink. A lot. This weekend in Devon would be ideal for couples or as a girlfriends’ getaway, and those looking for a bit of rest and relaxation, who enjoy good food and a cocktail or a pint of real ale – or three. If that sounds like you read on to find out how to have an easy to organise this weekend in Devon without the hassle. First stop on your weekend in Devon: say hi to Stonehenge. If you’re heading for a weekend in Devon from anywhere in London or most of the South East by car (as I was), there’s a good chance you’ll end up driving along the A303 on the 3-4 hour drive to Devon, meaning that a quick stopover at Stonehenge is incredibly easy and as it is around the halfway point it breaks up the journey perfectly; plus seeing one of England’s most famous landmarks is a fun way to kick off your weekend away. 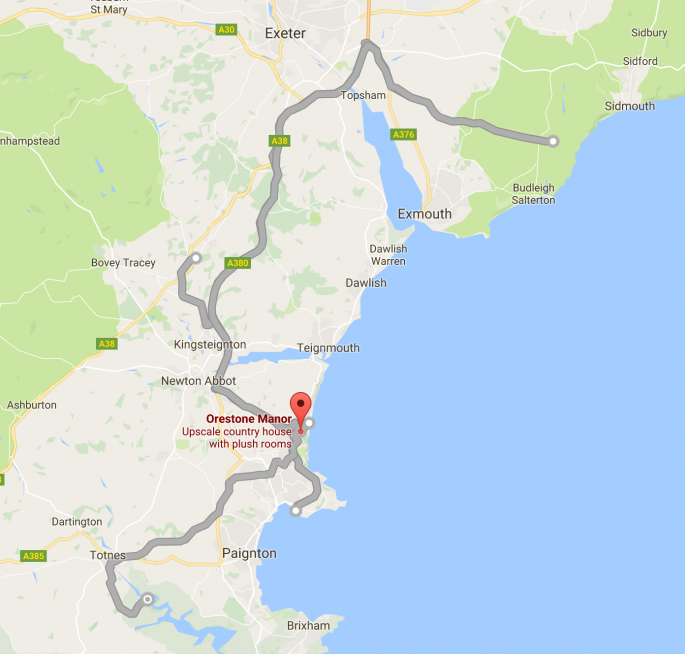 You can also take the train to Devon, (it starts from London Paddington) though most of the activities I cover here would be a lot easier with your own set of wheels. 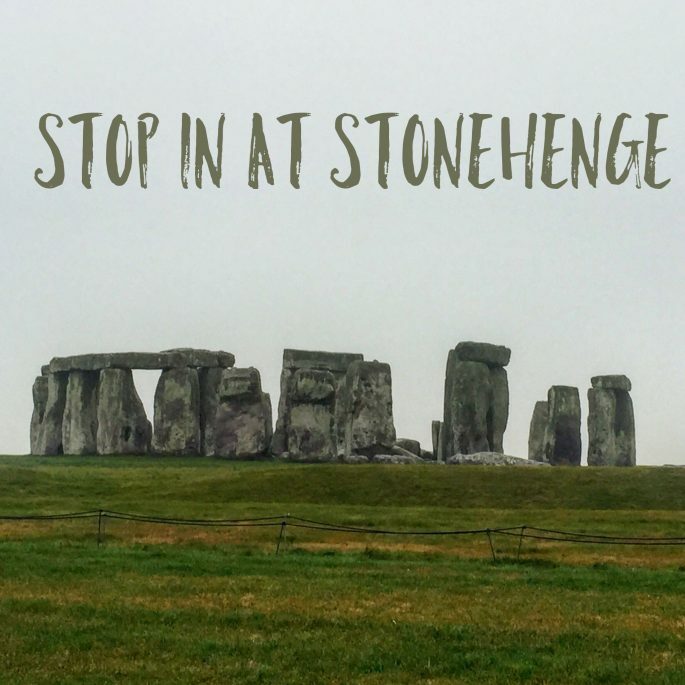 Tip: Stonehenge is one of English Heritage’s 400+ historic sites in the UK, meaning there’s an entrance fee to walk around the stones. However if you’re just stopping in for a peek, you can easily walk to the perimeter where there is a public footpath which is free for anyone to use, and the view is really just as good. If you can’t be bothered to stop you also get a pretty decent view of the site from the road itself, and if you’re stuck in heavy traffic you can probably take a picture without even getting out of the car. Bonus. The setting for your weekend in Devon; Orestone Manor. One of the main characteristics of a relaxing weekend away is, in my book, heading straight to the hotel on the first day, checking in, and then not leaving until the next day, giving you time to really unwind. That’s what I recommend for this trip as Orestone Manor has everything you need to kick off a weekend of chilling and indulgence. 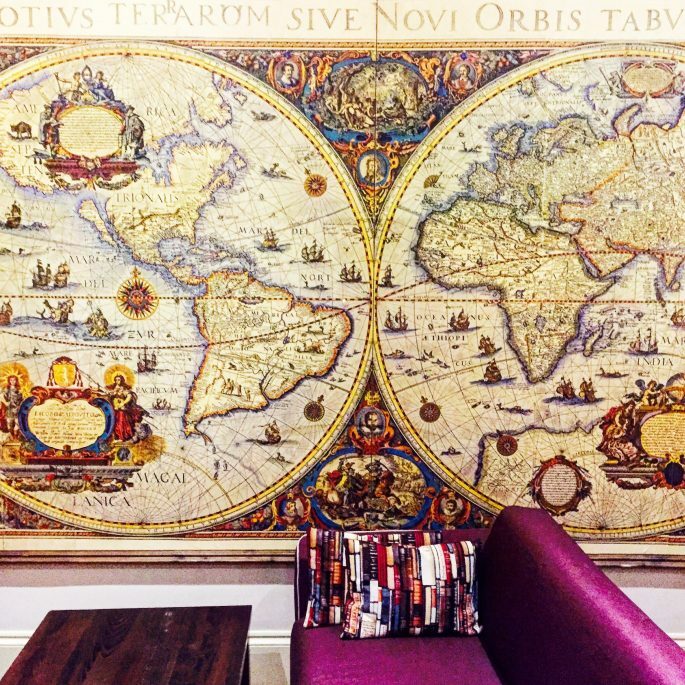 This place has the vibe that many of us are looking for on an English countryside weekend away, but that we can often spend hours reading TripAdvisor trying to track down. The hotel itself is an old Georgian manor house which is absolutely packed with history and has that plush *and relaaaax* English country house feeling that makes you feel all comfy and spoiled – think old paintings and curiosities, so there’s always something to catch your eye while you recline on overstuffed couches by real log fires, and enjoy old fashioned good service. The perfect weekend here begins with checking in – though that’s a pretty laid back affair – then perhaps enjoying a walk in the garden, a drink at the bar, or even a cheeky nap. 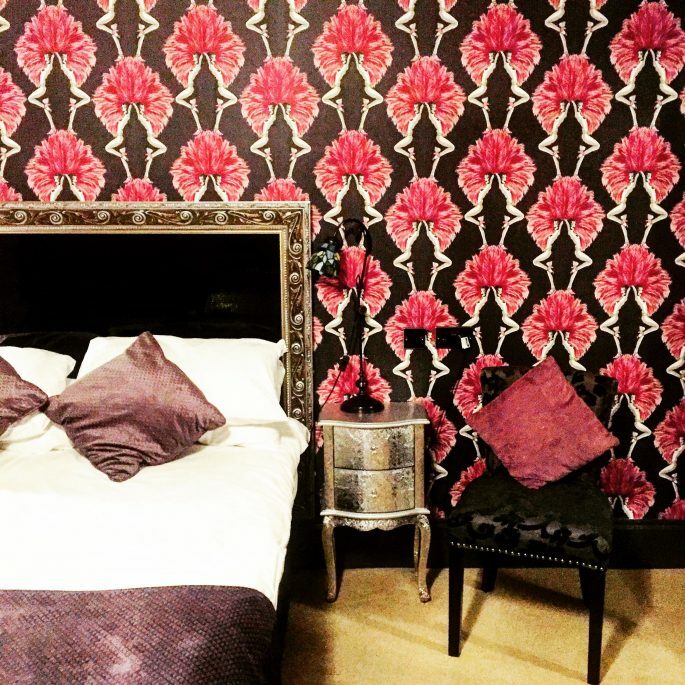 Pretty In Pink: My room during my weekend in Devon – they are not all this girlie though. 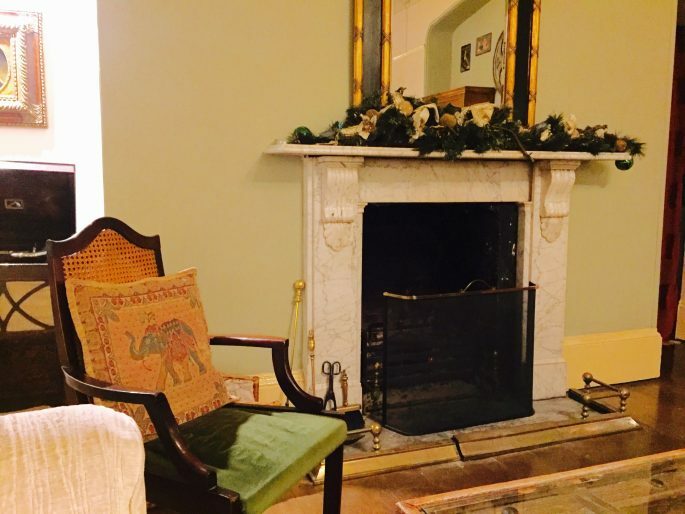 There are 14 rooms here and each has been refurbished in its own style so there’s lots of options to choose from; some more modern looking and others more traditional and in keeping with the original period of the building. The new additions are the coach house suites. They are two of these two-storey mini-houses with roll top baths and hot tubs, and they sleep additional people so if you’re coming with more than just a friend or partner these would be ideal for your weekend in Devon. 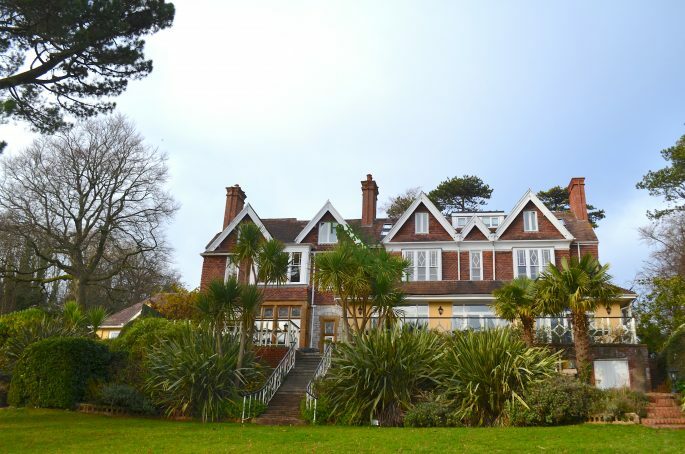 This house was originally home to the artist who designed the first Christmas card and the building has ties to the famous engineer Isambard Kingdom Brunel, who was the original owner’s brother in law and created the Great Western railway, so there are plenty of little facts here to keep you interested. The hotel bar is named after Brunel, but today they stick to engineering some pretty delicious and rather potent cocktails, so an aperitivo before dinner is just the ticket. 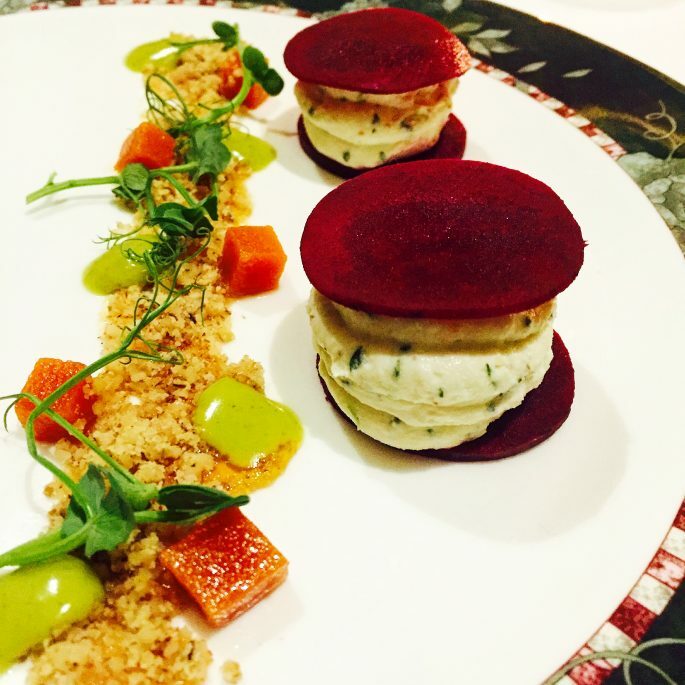 This hotel have made the prospect of a weekend away in Devon really easy with a restaurant serving incredibly high quality food, much of it hyper-local, and charging guests less than anyone else to enjoy it, making it a no-brainer to simply stay put and indulge for at least the first night. 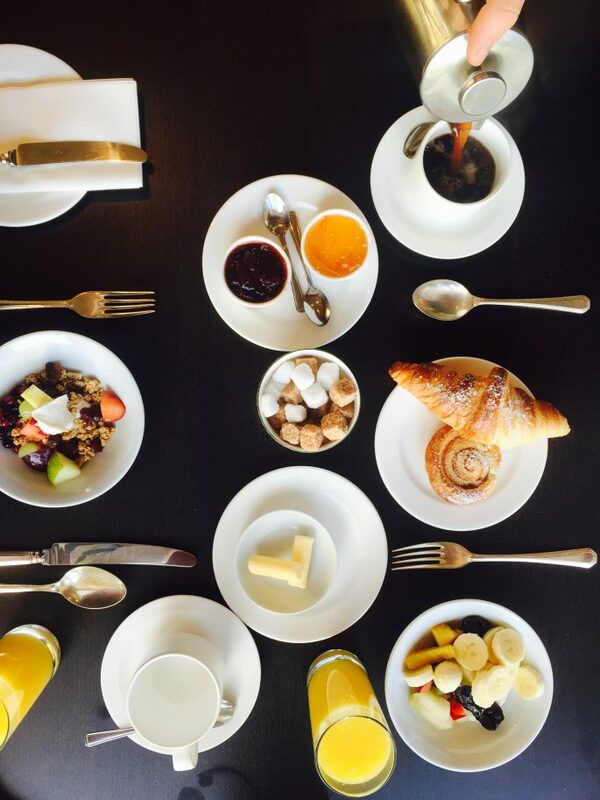 I love it when I can eat at the hotel without feeling guilty that I’m missing out on somewhere better, but trust me the only guilt you’ll have here is over the 3 courses of comfort food you’ll be eating. Dishes were all top notch without exception. 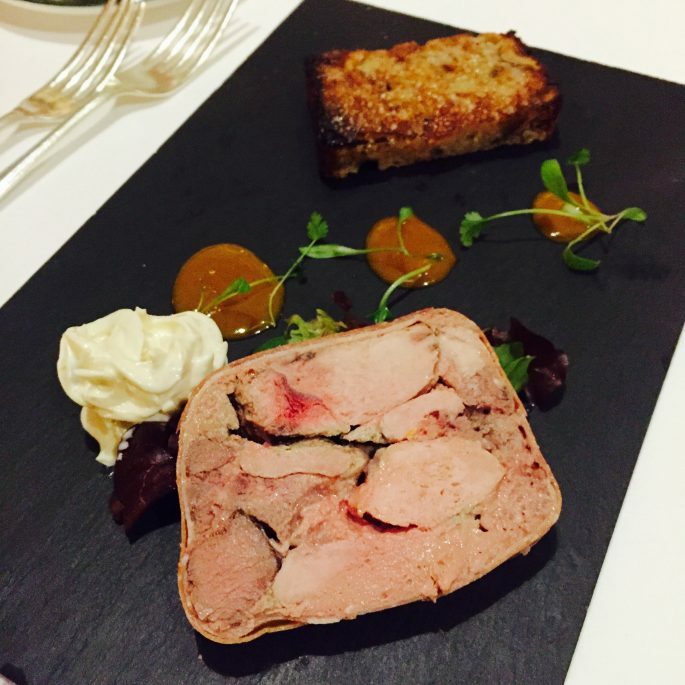 There’s a great selection of delicate starters, hearty mains and proper puddings – and also a cracking cheese board. Portion sizes are huge and the value for money is frankly amazing. What’s also nice is that while all the food is beautifully presented it is still very much real food, making it perfect for cold winter evenings. The views from the hotel are lovely, and while the time lapse of sunrise above was taken from my room you can soak up the same views over your Full English Breakfast. There’s a continental and Full English on offer. I had both obviously. But you’ve come to Devon to explore, so let’s get to the list of some not-too-strenuous activities on offer for your weekend in Devon. I’ll give you the order in which I did them, but you can just mix and match for your own weekend in Devon. For your first foodie foray in Devon its a visit to the celebrated Devon wine and cheese makers at Sharpham who offer tours and tastings in a beautiful English countryside setting. 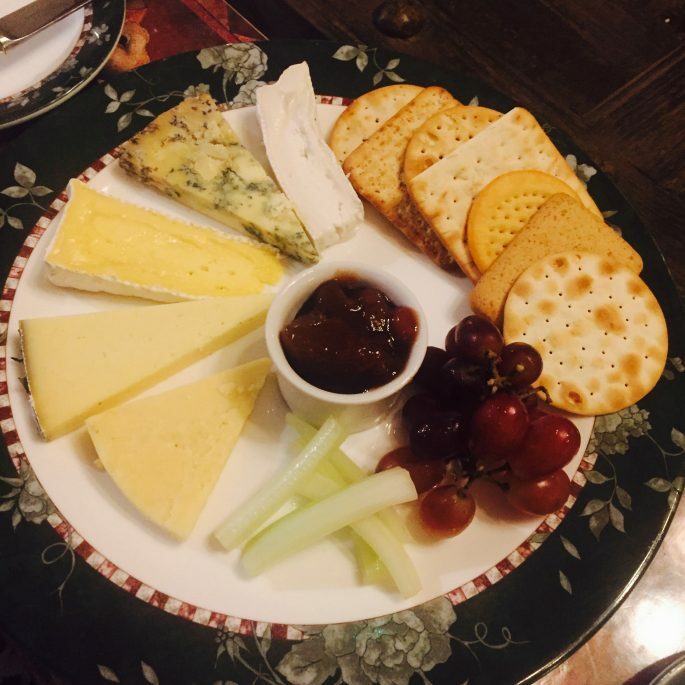 In fact if you’ve had the cheese board at Orestone Manor you’ll already be familiar with some of the divine artisan cheese that the West Country churns out including the handmade Sharpham Brie. 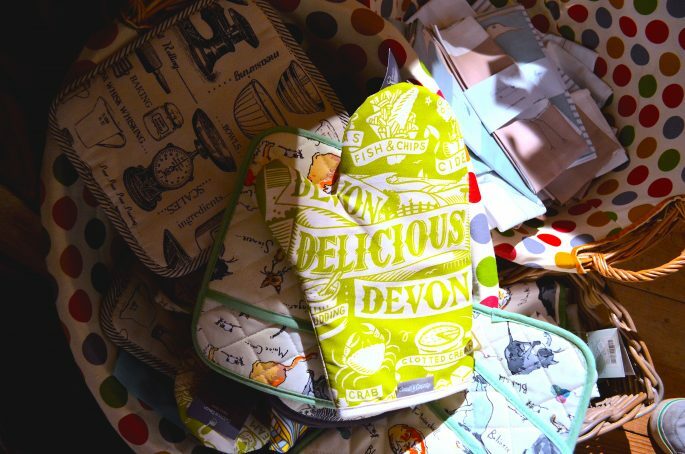 Who knew that Devon has the claim to fame as home of the oldest bakery on the planet? 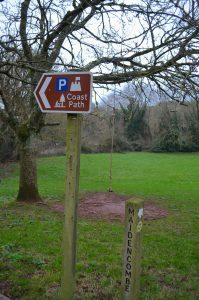 I certainly didn’t until I found myself at Otterton Mill, a quaint cafe and working mill in the picturesque village of Otterton, a 40 minute drive north along the coast (it would be quicker if you went by boat, this is Devon after all). 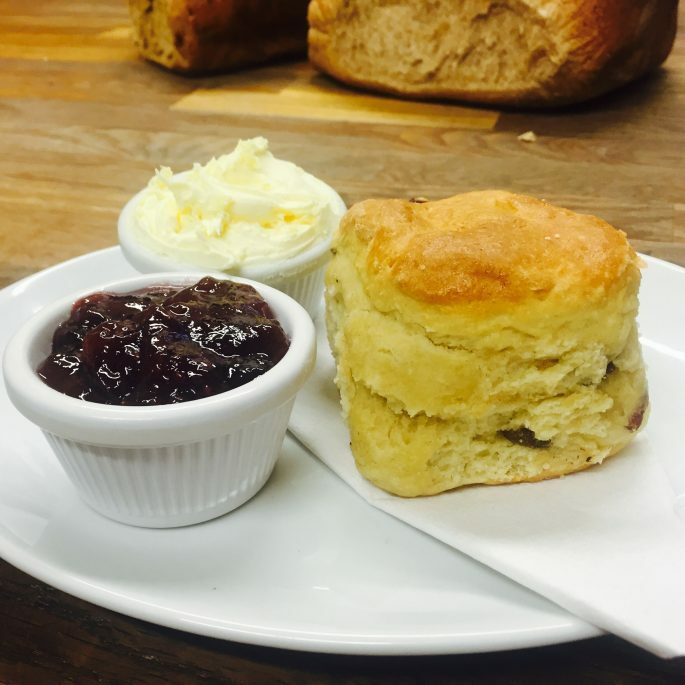 If you’re ready for a Devon Cream Tea this is THE place to have it; the mill here has been producing flour since the days of the Domesday Book, so you will be getting one heck of an order of history with your scone and clotted cream. There’s something quite fun about exploring places out of season, maybe it is the feeling that you have them all to yourself, but a walk along the seafront in Torquay in winter, all wrapped up against the cold, gave me that exact feeling. Like any good seaside town there’s not exactly lots to do on a winter evening, but it makes a good spot to walk up an appetite before heading back to the hotel for another feast – though there are definitely a few intriguing spots if you want to stay out and enjoy some of the local Brixham crab. 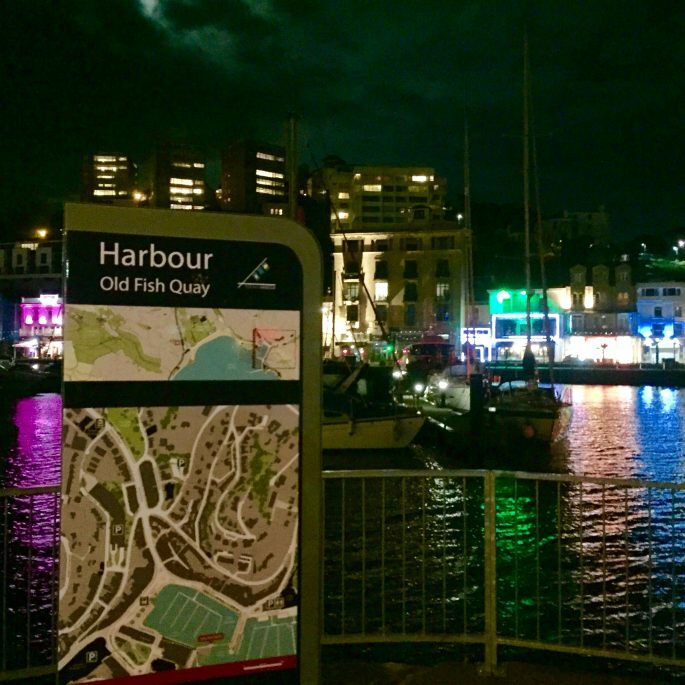 Both Rockfish and the Harbour Kitchen are contemporary looking eateries on the water with great reviews and would have tempted me to stay out if I didn’t already have an appointment with a G&T, a roaring fire. 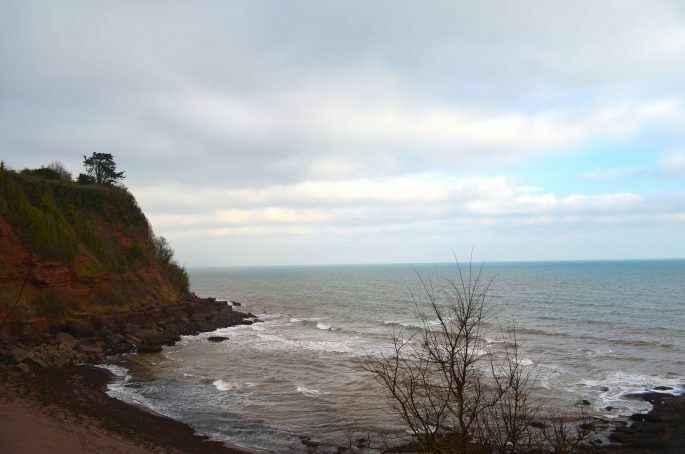 Maidencombe Beach, Devon. A 10 minute walk from the hotel. There’s a steep little country lane that stretches down to the beach from the hotel, making it the perfect short walk after you’ve had yet another big breakfast. 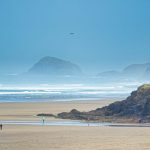 The beach is barren and atmospheric in Winter, and you can scramble across the rocks and play chicken with the surf spray – on my visit I had the entire beach to myself, seeing just a couple of dog walkers who were headed back up as I was heading down. The Thatched Tavern, Devon. The perfect country pub. 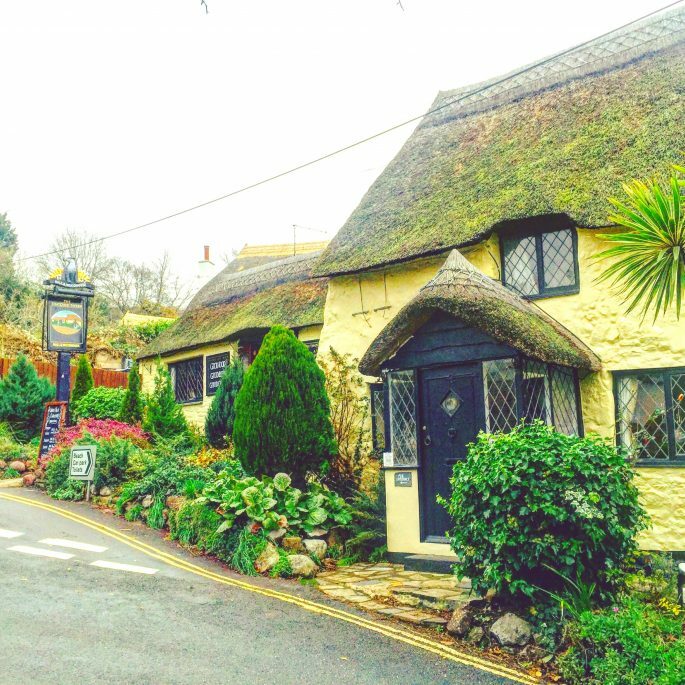 After your beach walk you can warm up in The Thatched Tavern – the perfect picturesque British pub and a doddle to find, as it is opposite the beach car park. On arrival at the hotel I’m told that walking takes ’10 minutes there and 30 minutes back’ – not because of all the local ales you’re bound to consume but because of the hilly nature of area – it’s uphill all the way back. 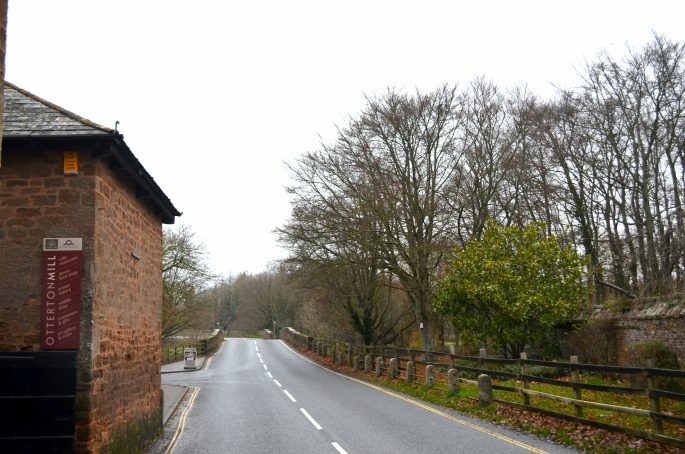 If you’re feeling lazy and one of you is willing to forgo the alcohol you can just drive down the country lane to the pub and park right outside. And finally – if you think you’ll need a break from all that eating, why not try another local activity – like fly a Boeing 737 from local Exeter Airport to nearby Bristol? Devon may be hiding its light under a bit of a bushel when it comes to the world’s oldest bakery, but it has another far more modern claim to fame – as home to the UK’s most state of the art flight simulator. While you’re in the Devon area you can get some pretty cool aerial views of your surroundings by booking a flight experience at The Virtual Jet Centre, whose most popular routes include the short hop from Exeter to Bristol, giving you the opportunity to take in some West Country scenery, try a barrel roll and fly over a grounded Concorde as well as learn to take off and land, all in a hyper realistic Boeing 737. Trying a flight simulator experience isn’t a bad way to end your weekend in Devon, not bad at all. 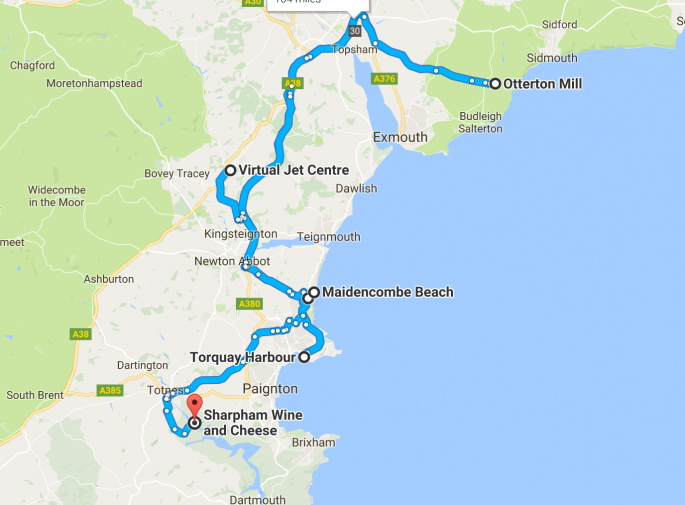 The hotel is at the centre of this weekend itinerary, but each of the stops is within a 45 minute drive, the furthest being Otterton Mill, and every stop is easily reached with Google maps. 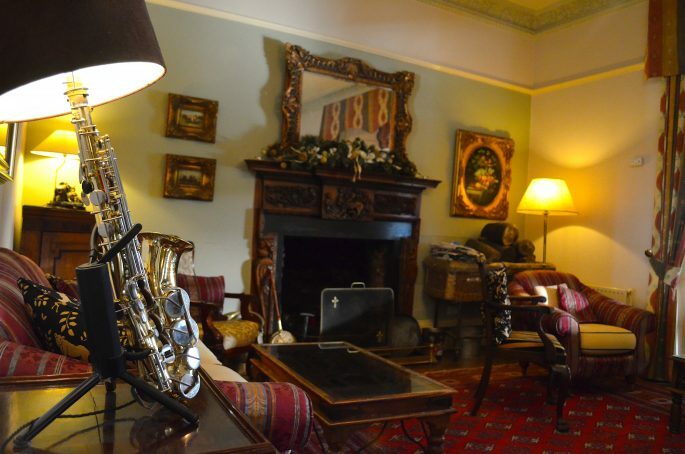 Rooms at Orestone Manor cost from £110, and the addition of a 3 course dinner for hotel guests with no restrictions (so you can order anything on the menu), is £33 per person. There are various special events in 2017 from gin tastings to a Valentine’s Menu. Otterton Mill draws visitors from far and wide to see the mill in action, and has a list of milling days which is published online when you can see a 1000 year old process take place at no charge. 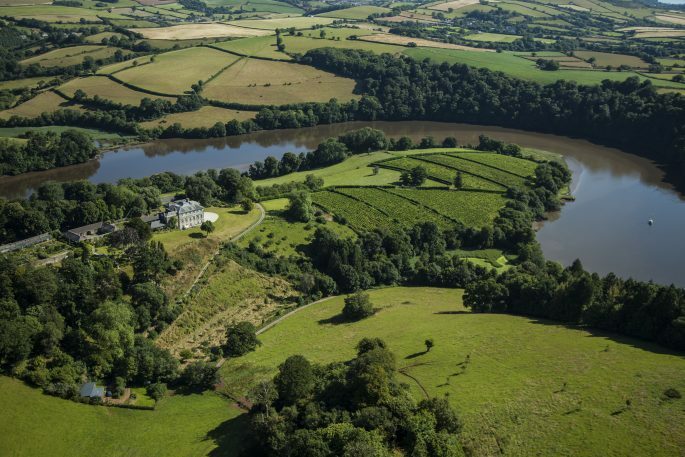 Sharpham Vineyard is open from March until December for tours and tastings and has an onsite cafe. 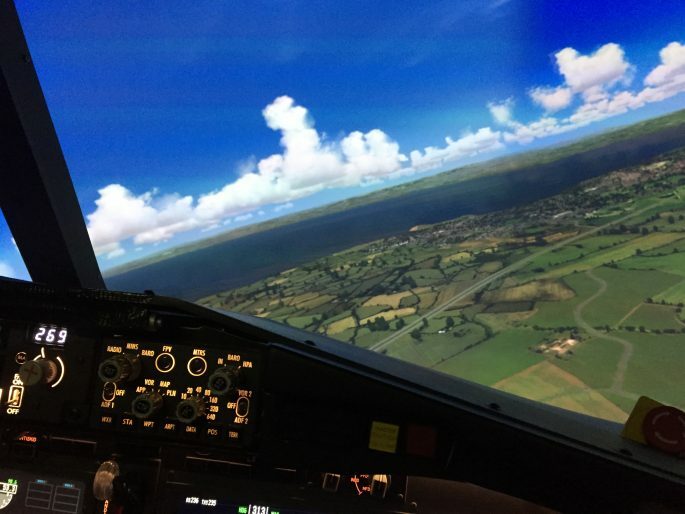 The Virtual Jet Centre is open every day apart from Christmas Day for flights – you can choose to experience the feeling of flying to and from any airport or on any route in the world, but if you’re on a weekend in Devon, the Bristol route is a great start.